living and short-stay services accompanied by premier amenities. At The Pavilion, we are dedicated to the enrichment of life through integrity and direction for each of our residents in a gracious home-like environment. Our skilled interdisciplinary care team works closely with each resident, their physicians and other healthcare professionals to meet each of their individual needs. Our residents may select from a wide array of enriched programs both on-site and off-site. We encourage our residents, loved ones and members of the community to enjoy our many amenities; including historic majestic chapel located on the second floor, courtyard style healing garden and café. 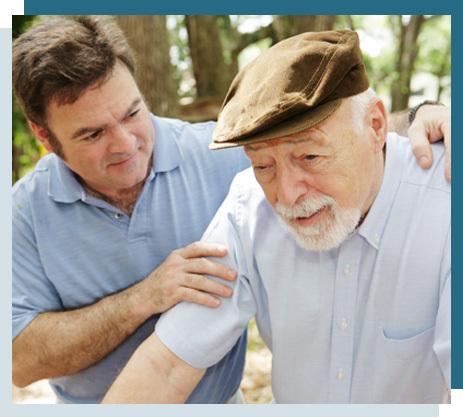 Our team of certified and caring therapists custom-design rehabilitation programs to ensure our patients regain skills and abilities they need to ensure a successful transition home and to achieve the independence they desire. At The Pavilion, we are committed to delivering excellent care and treating our residents with honor and purpose. Our rehabilitation department is located in an outpatient setting near our lobby on our first floor, and separate from our fourth floor resident rooms. Our patients enjoy the friendly environment and opportunity for social interaction with other rehabilitation patients. Short-term patients and their family members can easily access our professional facility, conveniently located in the heart of Covington.